Recently, Johnson & Johnson has lost three consecutive class action involving Risperdal. In September 2012, the company settled an individual Risperdal lawsuit filed on behalf of a young man who developed breasts after being treated with the drug for a period of five (5) years. If you’ve been injured by Risperdal side effects, it’s important to understand that you are not alone, and many are now filing lawsuits in courthouses around the country. Manufactured and marketed by Janssen Pharmaceuticals (a subsidiary Johnson & Johnson), Risperdal was approved by the U.S. Food & Drug Administration (FDA) in 1993 for the treatment of schizophrenia and acute mania, or mixed episodes of bipolar disorders. 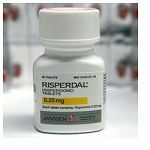 Risperdal is also commonly prescribed in a so-called ‘off-label’ capacity for the treatment of behavioral disorders in the elderly, such as dementia, attention deficit disorder (ADD) in children, as well as depression, anxiety and autism. And though it has proven to be considerably effective at treating a number of these serious medical conditions, Risperdal has also recently been linked to a large number of serious, potentially life-threatening side effects. On November 4, 2013, Johnson & Johnson agreed to resolve criminal and civil investigations into the marketing of Risperdal and other widely-prescribed medications by paying over $2.2 billion, one of the largest penalties ever levied against a company for healthcare fraud. According to the agreement, J&J’s Janssen division will plead guilty to misbranding Risperdal for unapproved uses, as well as for paying kickbacks to physicians and to Omnicare Inc., the largest pharmacy for nursing homes. In September 2012, a Risperdal gynecomastia lawsuit filed on behalf of a 21-year-old male was settled for an undisclosed amount on the opening day of the trial in Philadelphia. According to allegations raised in the complaint, that victim was treated with Risperdal between the ages of nine and 14, and subsequently developed abnormal male breast tissue (a condition known medically as gynecomastia), which led to prolonged psychological trauma. The terms of the victims Risperdal lawsuit settlement have not been made public. YES. In April 2012, J&J was ordered to pay $1.1 billion over claims by the state of Arkansas that the company hid the health risks associated with Risperdal from the public and medical communities. The verdict marked the pharmaceutical giant’s third straight loss in Risperdal lawsuits filed on the state level regarding the marketing of the drug. Previous Risperdal class action lawsuits filed by the states of Louisiana and South Carolina also resulted in fines against J&J of $258 million and $327 million, respectively, as well as a $158 million settlement in Texas. The U.S. Department of Justice (DOJ) has also demanded that J&J pay $1.8 billion to resolve additional complaints filed over Risperdal. The Moody Law Firm has a proven experienced team of trial lawyers that focus on the representation of plaintiffs in Risperdal lawsuits. We are handling individual litigation nationwide and are currently accepting new Risperdal injury lawsuits regardless of client locations.